Ho Ho Ho. The holiday season is here. 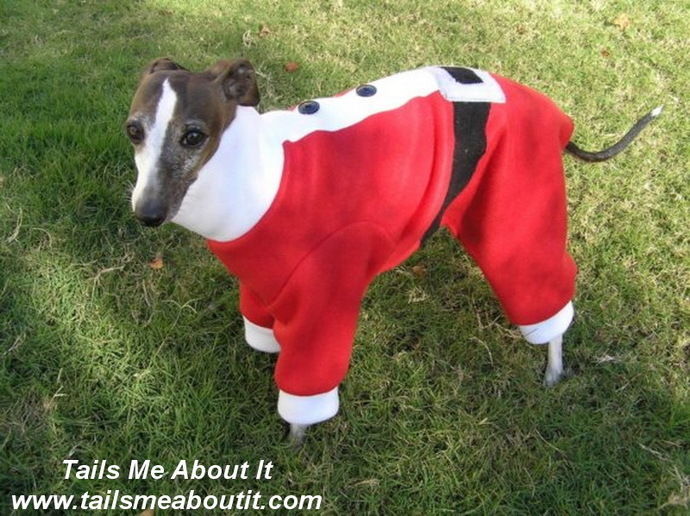 I think this year you may have your furry friend helping you out with presents in these jammies. Made from a very warm red fleece, this pajama will keep your friend toasty. 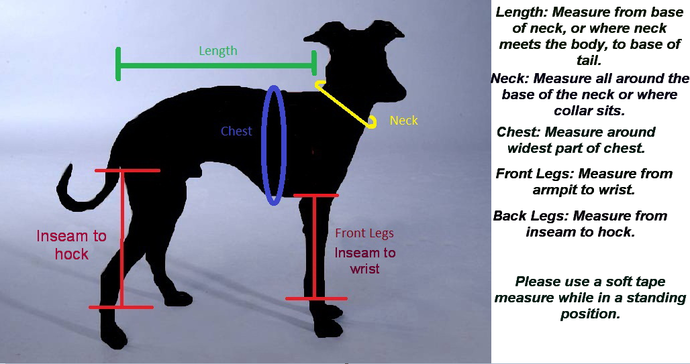 Small: Neck: 10", Chest: 18", Length from base of neck to base of tail: 13"
Medium: Neck: 12", Chest: 20", Length from base of neck to base of tail: 15"
Large: Neck" 13", Chest: 22", Length from base of neck to base of tail: 17"
Extra Large: Neck: 14", Chest: 24", Length from base of neck to base of tail 19"
**If your size is not above, please note the pajamas can be custom made for small, medium, or large dogs. Please convo me with measurements for a quote and a listing here on Etsy. We do ship all over the world. Please convo me for shipping quote. Join us on facebook at www.facebook.com/TailsMeAboutIt. Please feel free to post pictures of your pets wearing their new coats, collars, and more.